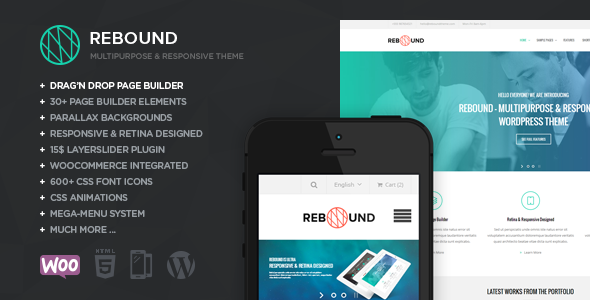 Meet Rebound, which is fully responsive and multipurpose WordPress theme by the virtue of which users can build multiple websites such as corporate, real estate, business, ecommerce, magazine or news. Take a look at its great features like WooCommerce integrated parallax background, responsive and retina ready design, CSS3 animations and many more. Its page builder can be easily customizable. Try it now.